1.Never find your baby’s pacifier on a dirty supermarket floor or pavement? 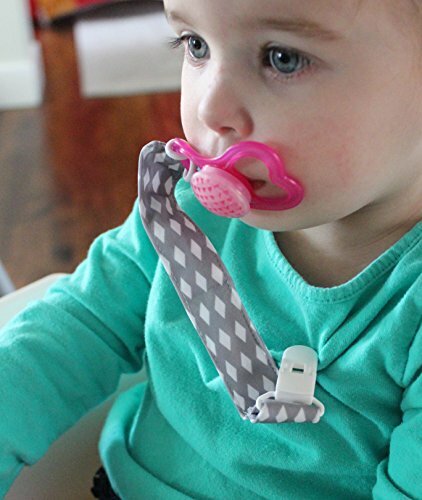 With this clip you can attach the pacifier to your little one’s bib or outfit! 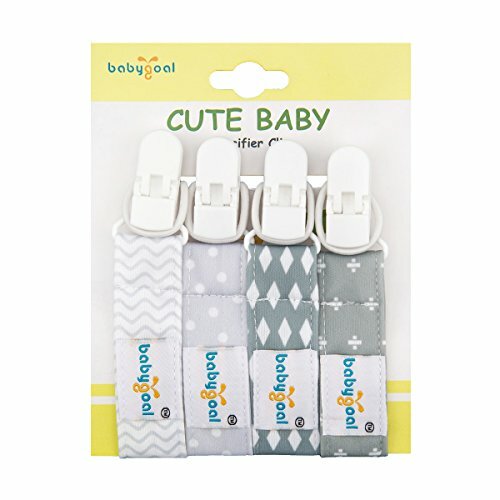 2.Set of 4 plastic pacifier clips. 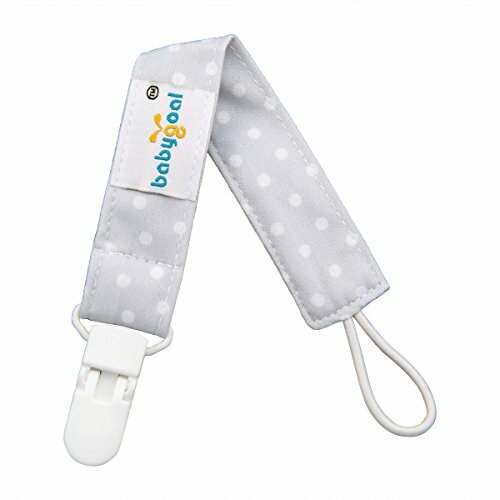 Perfect for holding pacifiers or toys or whatever your little person likes to toss on the ground. 3. 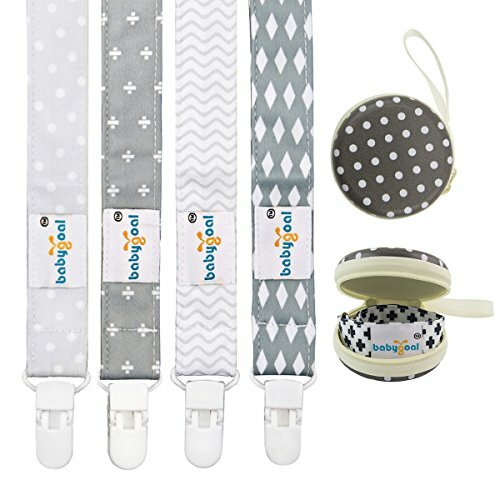 Each one is made with a white plastic clip that baby can’t pull off to lose. 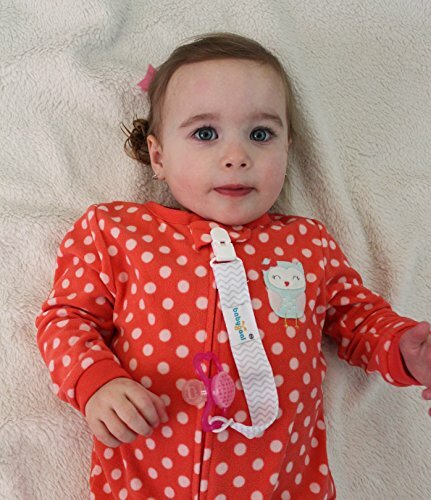 Will not harm your child’s clothes and safe for babies teeth if they chew on it. 4.A piece of elastic attached to the other end to loop through the PUL cloth facbric. A variety of ribbon used to hold it all together. 1.Materials: polyester with waterproof PUL fabric,come with a plastic clip. 2. 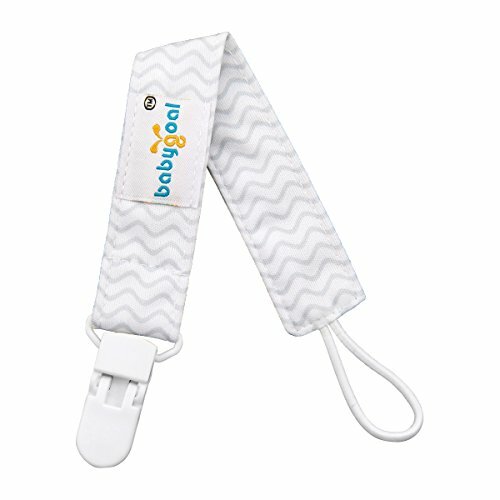 Secure clasp on your baby’s clothes. Packing List: 4pcs plastic pacifier clips+one pacifier caseMaterials: polyester with waterproof PUL fabric,come with a plastic clip. 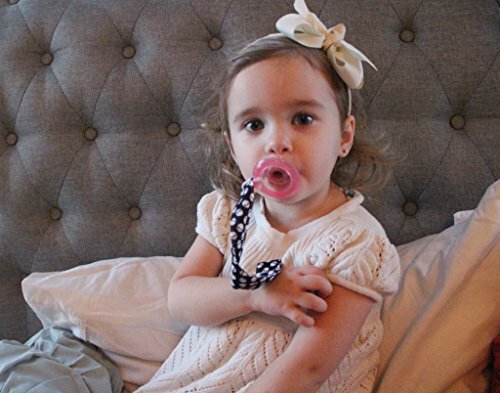 Keeps pacifier clean and close to baby. 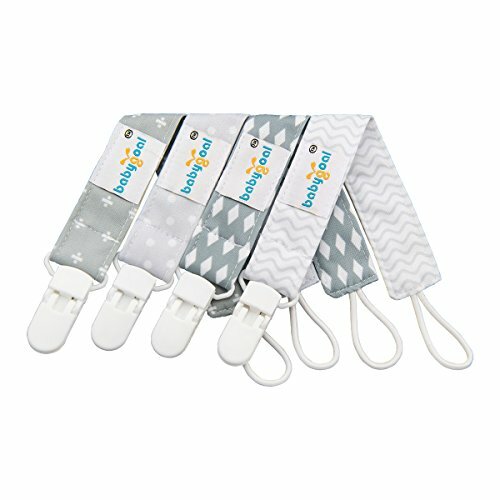 Secure clasp on your baby’s clothes and do not leave baby alone with the clips to avoid safety problem. 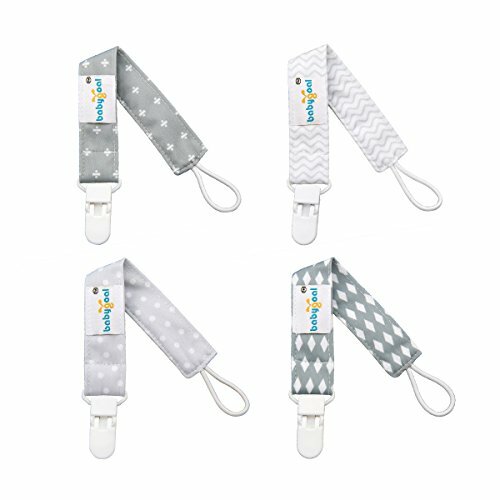 Each one is made with a white plastic clip that baby can’t pull off to lose. Will not harm your child’s clothes and safe for babies teeth if they chew on it.